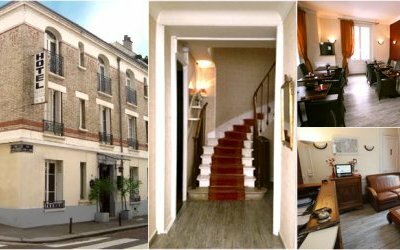 Le HOME SAINT-LOUIS, beautiful XIXth century, is located in the heart of Versailles in the Saint-Louis historic aera, and offers a central place for your leisure or business. Le HOME SAINT-LOUIS is sized hotel with 25 rooms. Our dynamic and professional team will welcome you and inform you, during your stay in Versailles, in a family atmosphere.